(Central Islip, N.Y., April 4, 2019) – The Long Island Ducks today announced the signing of outfielder Rey Fuentes. The Major League veteran enters his first season with the Ducks and 11th in professional baseball. 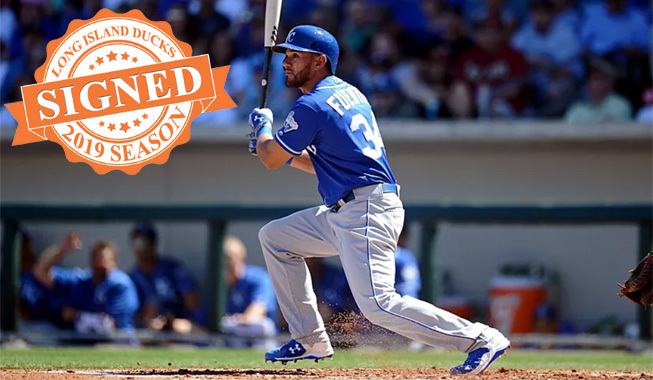 Fuentes played one season apiece in the Majors with the San Diego Padres (2013), Kansas City Royals (2016) and Arizona Diamondbacks (2017). In 100 MLB games, he totaled three home runs, 15 RBIs, 25 runs, 50 hits, two doubles, two triples and seven stolen bases. His first big league home run was a game-winning solo blast in the 10th inning of a 5-4 win over the Philadelphia Phillies on June 18, 2017. Defensively, Fuentes committed just four errors in 82 games played, spending time at all three outfield spots.